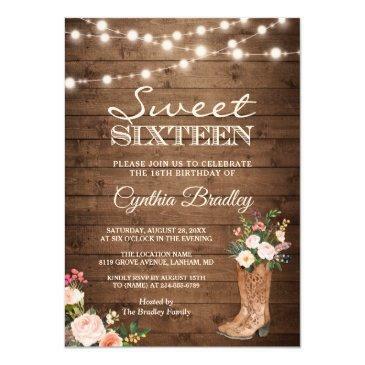 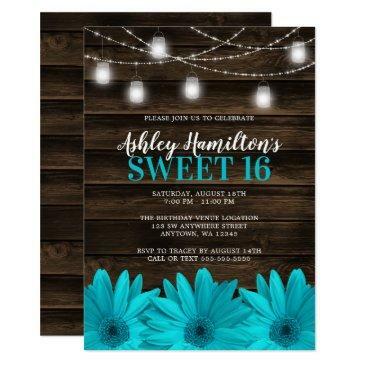 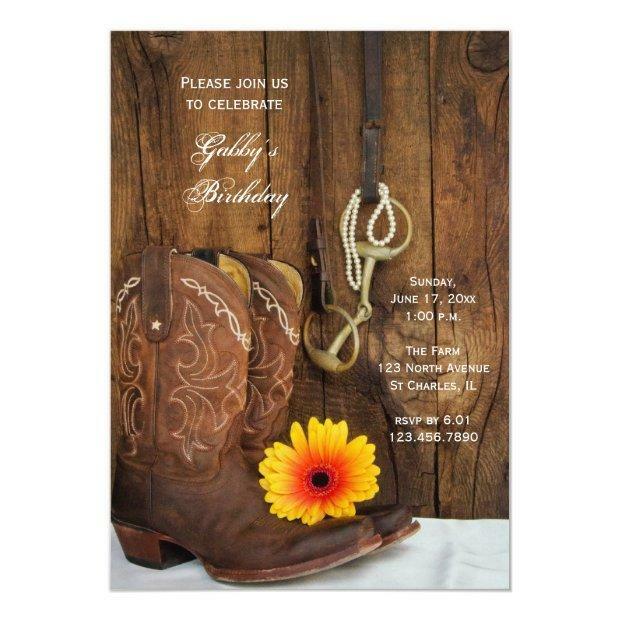 Invite guests to your upcoming rustic chic b-day party with the charming Cowboy Boots and Daisy Country Western Birthday Party Invitation. 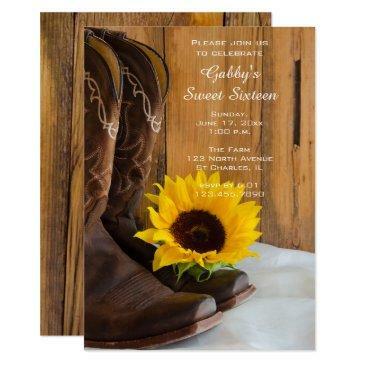 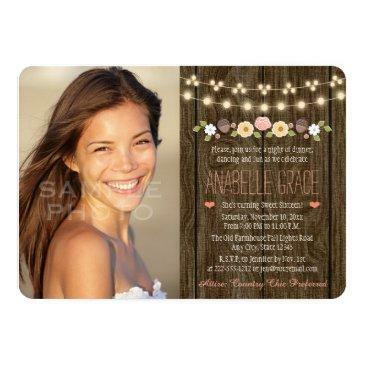 Customize it with the personal name of the birthday girl and specific event details. 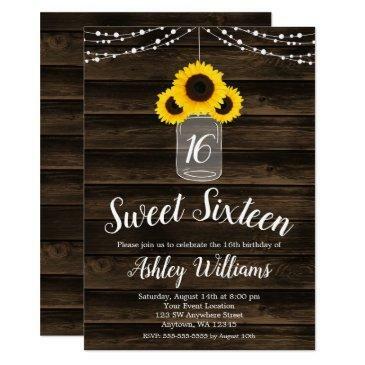 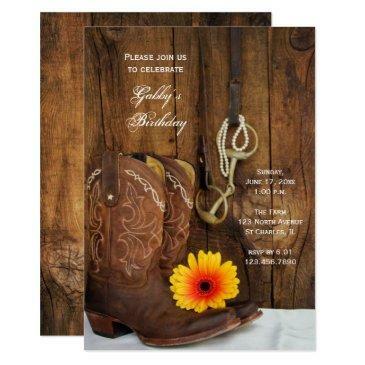 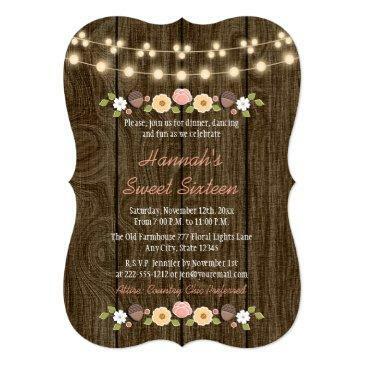 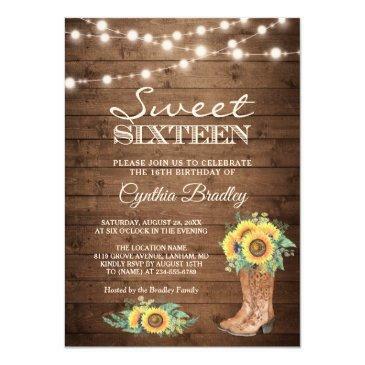 This casual yet classy custom ranch theme b-day party invite features a quaint digitally enhanced floral photograph of a pair of cowboy boots, yellow and orange daisy flower blossom, white pearl necklace, horse bit and leather reins with a brown weathered barn wood background.